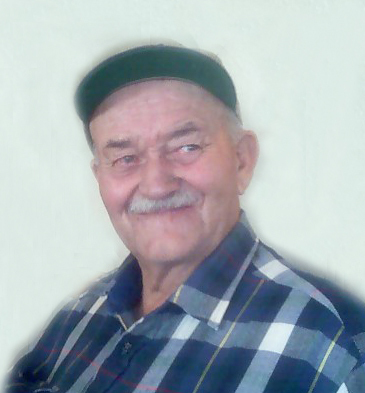 Joe Kovach passed away peacefully at home on Friday, January 18, 2019, at the age of 83 years. Our family is deeply saddened to inform you of the passing of our beloved uncle, but we know that Joe has lived a full, and happy life. Joe was a devoted uncle, brother, and friend who was full of laughter and love and always the first one to help out anywhere that was needed. People who knew him, knew he was kind hearted, strong willed and a rock for family and friends. Joe lived his life to the fullest and family was very important to Joe. He could often be found surrounded by family and friends at Lethbridge Hurricanes games, having coffee, playing cards or involved in a game of cribbage. Joe’s zest for life touched everyone who knew him, and he will be missed dearly by all his friends and family. Joe always enjoyed his morning coffee with friends at the Turin coffee shop and loved his days on the farm where he lived his entire life. He spent lots of time attending auction sales, and many of the surrounding community parades and events. Joe was predeceased by his parents Joe and Mary Kovach, and his two brothers Frank and Paul. Joe was never married but always kept a close connection to his nieces and nephews, who will forever miss his laughter, visits and game playing on the holidays. Family and friends are invited to pay their respects between 6:00PM and 7:00PM on Wednesday, January 30, 2019 at MARTIN BROTHERS RIVERVIEW CHAPEL, 610 – 4 STREET SOUTH, Lethbridge, AB. A Memorial Service will be held at 1:00PM on Thursday January 31, 2019 at MARTIN BROTHERS RIVERVIEW CHAPEL, 610 – 4 STREET SOUTH, LETHBRIDGE, AB., Deacon Ray Wagner, officiating.